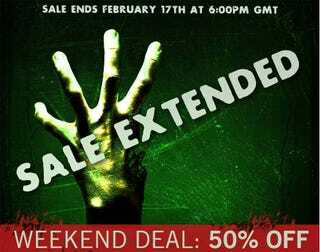 Valve just tapped us on the shoulder to let us know that this weekend's Left 4 Dead "Four Finger Discount" has been extended until Tuesday. That's Left 4 Dead, half off, 'til Tuesday. Don't sleep!